$1 billion investment was made in 2014 to fund the expansion of solar throughout the state over ten years. Incentives are offered to reduce the installation costs for residential areas and small businesses. For households earning less than 80% of the area or State median income, incentives are doubled. The policy has a Clean Energy Standard that will require 50% of all electricity in New York to come from renewable energy. This initiative aims to achieve 3 gigawatts of installed solar capacity by 2023. This is a statewide public policy that mandates Connecticut utilities to supply 27% of their power with renewable energy by 2020. Utility companies are fighting solar and Connecticut’s Renewable Portfolio Standard forces utilities to move towards renewable, sustainable energy. Relies on a class based system to determine the quality of the renewable resources. Class I renewable resources are solar power, wind power, a fuel cell, geothermal, and hydropower and will account for 20% of the total 27% goal. Class II consists of energy that is derived from trash, or biomass. This accounts for 3% of the total aim. Class III consists of combined heat and power facilities with an efficiency rate of no less than 50%. This account for the remianing 4% of renewable sources. 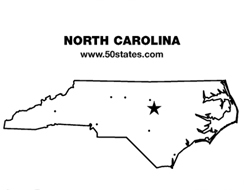 Signed on August 20, 2007 to make North Carolina the first state in the Southeast to adopt the Renewable Energy and Energy Efficiency Portfolio Standard. Investor-owned utilities in North Carolina are required to meet up to 12.5% of their energy needs through renewable or energy efficient resources. Rural and municipal electricity suppliers are required to meet 10% of their energy needs through renewable or energy efficient resources.